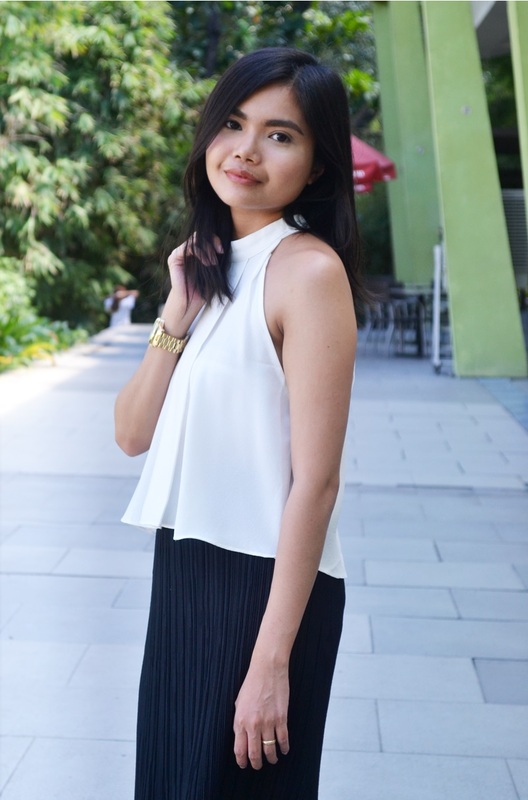 For 2016's first outfit post, I thought I'd highlight one of the biggest trends for this year: pretty pleats. This textured piece is no longer just reserved for the older woman as designers put their own modern spin on this fabric as seen on the Spring/ Summer 2016 runways. So how do you work this trend? Think metallic asymmetrical pleated skirts paired with pastel jumpers at Emilio Pucci, floor-grazing Carolina Herrera white pleated maxi dresses and Tommy Hilfiger's pleated tropical summer frocks. My own interpretation of the trend? A halter top teamed with a midi micro pleat skirt in my favourite monochromatic shades.